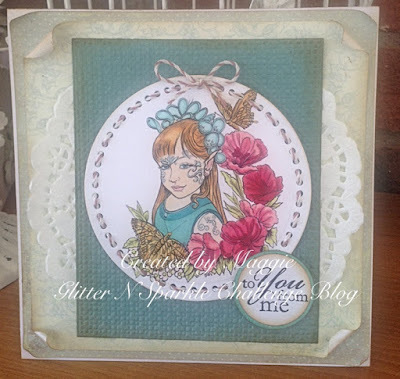 I have used spectrum Noir pens to colour the image, die cut with tattered lace circle which also cuts holes which are perfect for using thread or ribbon through, I have threaded with bakers twine in a vintage taupe, I punched the sentiment with circle punches and coloured the larger one with a spectrum noir pen to match my image. All the edges were inked with vintage photo distress ink and corners of paper have been rolled back for a slightly shabby look. Hope you can join in the fun this week. Very sweet card. Great colour combo. 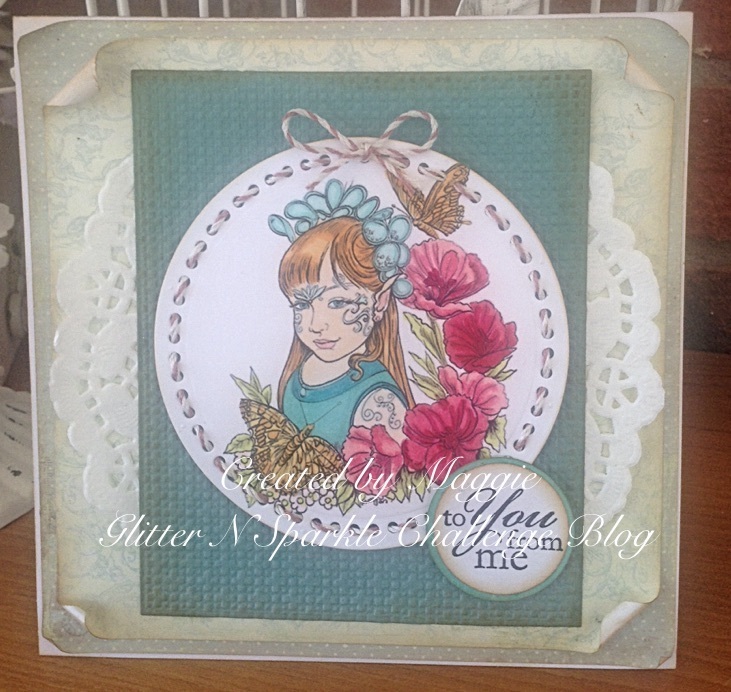 beautiful card and lovely colouring, thank you for joining us at creative inspirations this fortnight. Lovely card. Thanks for joining in at Creative Inspirations!